There’s nothing more thrilling than off-road biking. Not only is it a fun sport that gives you the opportunity to be out in nature, but it provides your body with a number of health benefits. While it may seem like a dangerous sport, a few minor bumps and bruises are worth the numerous gains in muscle strength and heart health. Mountain biking is a great sport for both amateurs and seasoned athletes alike. For newcomers, the sport helps build up strength and endurance. Experienced athletes will benefit from the health benefits and constant challenge. It’s an all around beneficial activity that could change your overall health. Here are 6 of the biggest health benefits of mountain biking. 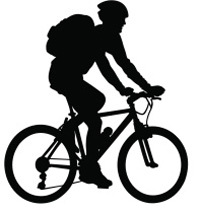 Mountain biking is considered an aerobic exercise. Instead of focusing on a specific muscle, you are working on your entire body. More specifically, your heart and lungs. 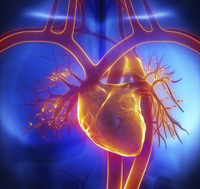 Your cardiovascular system is comprised of your heart, lungs, and veins. As you bike, your heart rate will steadily increase. This improves the way the heart pumps blood through the body. It’ll also affect the speed in which oxygen travels to different parts of your body. Blood and oxygen will make its rounds much faster, improving your overall heart health. Because mountain biking involves bumpy trails and numerous twists and turns, your legs are working much harder to stay in control. This improves the strength in your leg muscles. Your quads, calves, and glutes will see a dramatic change in strength. Endurance will also improve thanks to the improvement in cardiovascular health, which is directly connected to your overall fitness level. As your cardiovascular health improves, your body will be able to go farther without feeling winded. You’ll be able to build up your endurance by pushing your body with every ride. Before long, you’ll be able to go harder and faster due to improvement in strength and endurance. Those looking to lose body fat will benefit from mountain biking. Because the sport improves cardiovascular health, it will promote fat loss. The workout gradually increases your heart rate. At a higher heart rate, your body begins to burn fat at a faster pace. By measuring and controlling your heart rate through a run, you can put your body in it’s optimal condition to burn as much fat as possible. It only takes as little as 20 minutes at a high heart rate to see results. With most trails taking much longer than that, you’ll see and feel the benefits in no time. While other aerobic exercises can cause injury and lasting problems on the joints, mountain biking is safe and great for people with existing issues. The sport is non-load bearing. Your body is supported by the bike the entire time unlike other sports like running. With running, your body experiences harsh impacts with every step, putting strain on the joints that will eventually lead to a host of issues. Mountain biking eliminates this risk. With that being said, safety is always important and riders should always wear a helmet. With the right safety gear, you may still feel the effects of the ride afterwards, but it won’t cause significant or long lasting damage. Those who mountain bike on a regular basis have less chance of experiencing a number of different diseases. Many studies have been conducted to measure the effects of the sport. The overall improvement of cardiovascular health reduces the risk of heart disease and stroke by up to 50 percent. This drop in risk can be achieved by spending at least 3 hours on your bike per week. Other studies have shown a decrease in risk for breast cancer in women and other issues. Of course, it’s important for bikers to protect their body by staying hydrated to see benefits. Those who bike regularly with a hydration pack will see more benefits than those who don’t stay hydrated. Mental health can have a severe impact on your overall physical health. Continual stress can lead to heart and health issues. Aerobic exercises like mountain biking release endorphins, which are chemicals in the brain that produce a feeling of joy. Not only that, but it will help forget about stresses of the day. In the long run, mountain biking will help stave off depression while boosting self-confidence. If you’re having a bad day, take a ride through a trail. You’ll end up happier than you started and feel refreshed both mentally and physically.